This little post is only a prelude to the next. I had to address a tiny issue in these pictures. Can anyone tell me what this child is wearing? 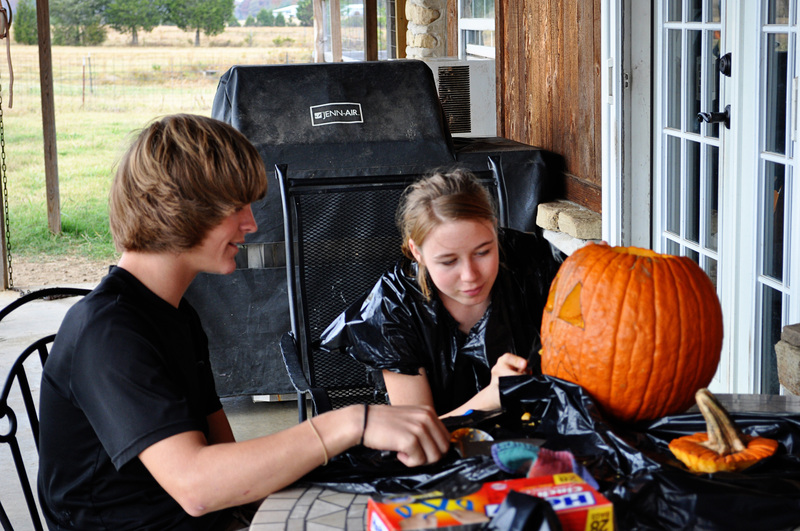 She is carving a pumpkin, yes. But does this task require special attire? Has she taken the goolish season so literally that she must immerse herself into the festivities with such ardent enthusiasm? A closer look reveals its shinier aspects. It could be fashionable, even. 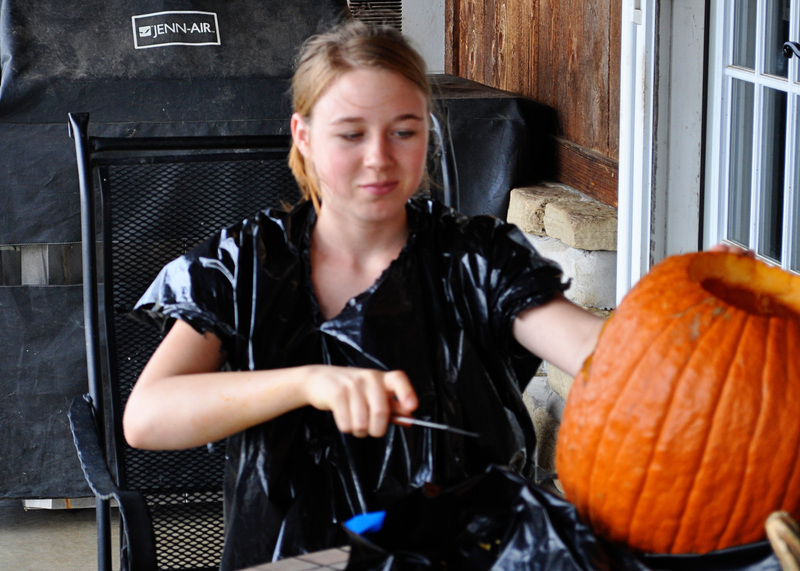 Perhaps she is developing a ritual costume for pumpkin carving. Is this her attempt at nouveaux fashion? She might be trying to impress a friend. Though he doesn’t require any encouragement. Maybe she is trying to match his look. Black top. A plastic sack is as appealing on this child as any other top to her friend. Oh wait! That IS a plastic sack, isn’t it? I know. This is her attempt to protect herself from those flying seeds and pumpkin strings released in the process of pumpkin slaughter. She did a great job. Will show you later. I love her ingenuity and creative nature and, as her mother, have to brag on it. She is just my little piece of heaven today. LOL! 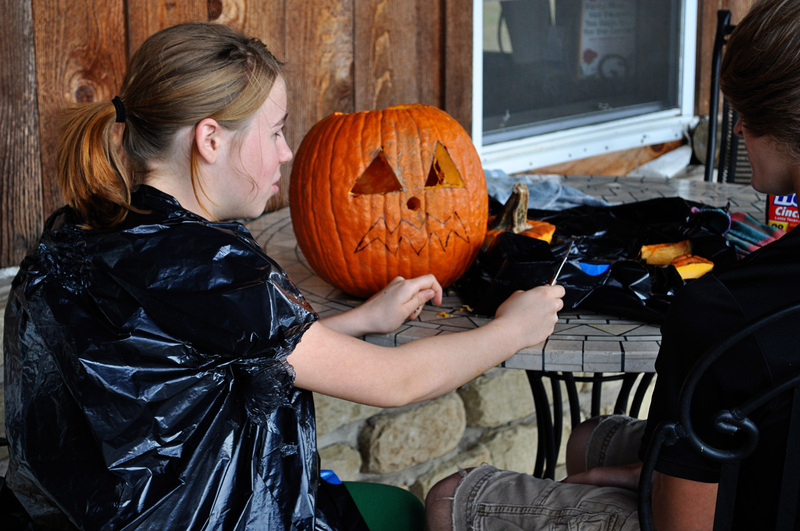 I love it and you must admit – it covered her from all the pumpkin guts!